We’re coming to the end of the financial results season. It’s not as glitzy as awards season, but then it’s hard to organise a big party without a bag of cash. 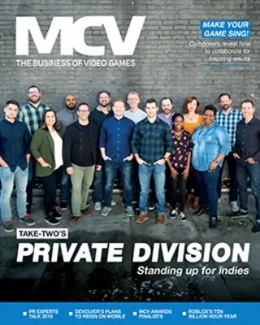 As far as the UK games industry goes, GAME’s full year results are key, as the health of the company has a far broader knock-on effect than any individual publisher or platform holder’s figures. We talk to CEO Martyn Gibbs about the latest figures, which cover the year up to July 2017, and more recent developments. Developments that took a further twist today when GAME sold the digital arm of its Multiplay bunsiness to Unity, in order to concentrate on its events and esports business. We have to start with last year’s disappointing Christmas, which was responsible for the £10m loss that the company posted for the year as a whole. Its gross transaction value (GTV) figure was down by 2.4 per cent in H1. Key titles underperformed and GAME remains highly reliant on those big titles firing on all cylinders. So we ask Gibbs whether the publishers have got it right this year? “In terms of Call of Duty, absolutely. 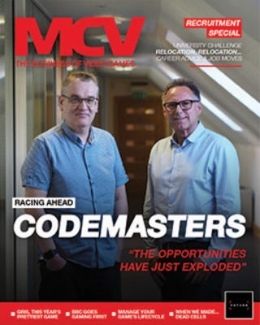 The game has been well received, we’re delighted with the market performance of the title, and we think Activision has done a really good job,” he replies, which resonates with sales figures for the franchise that have more than doubled this year. However, some other ‘big franchises’ haven’t been quite as impactful, so we want to know whether the pack was trailing behind a little more this year. But is it on a Call of Duty scale in terms of pre-orders? “I’d be leading the market if I answered that, but we expect it to be the most material title of next year.” By which Gibbs means that its success will have a big impact on GAME’s results. "We expect Red Dead Redemption 2 to be the most material title of next year"
The second half of the year was far rosier, with GTV up by 6.6 per cent in H2. The key reason for that was Switch. The stock situation this Christmas is something that will have a direct impact on the bottom-line, not only for GAME and big publishers but for the many indies that have flocked to the console’s eShop digital store. With Super Mario Odyssey out, we might have hit peak Switch demand for the year already. But Gibbs doesn’t agree. So it’s some good news for those putting their eggs in Nintendo’s basket, in that stock is now much improved and constant. However, the massive popularity of the console may well still outdo even those shipments. Either way, GAME expects to move a lot of units over the next few weeks and that’s great news for everyone. "I don’t think we’re anywhere near the absolute peak of Switch demand yet"
Away from its traditional business of selling boxed games and console hardware on the High Street, GAME has been making good progress. 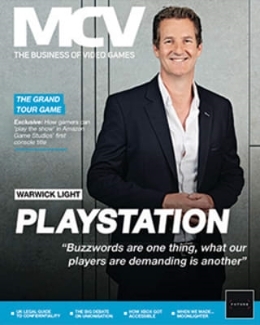 “Our digital and non-console retail sales grew by 24 per cent and they now contribute about 30 per cent of our group GTV. The launch of Belong has been really encouraging. We have 18 gaming arenas now, 17 have opened in the last 12 months and we’re aiming to get to 35 operational by the end of the full year 2018,” says Gibbs. 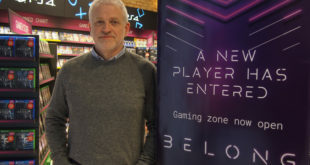 While the Belong gaming arenas are still a small part of the mix for GAME, they are evidence that the company is moving in the right direction, trying to engage its customer base with more than just game sales. And while the shift to digital continues, it’s been the shift from High Street to online for physical games that is arguably more important to GAME in the near future. We ask why the company doesn’t separate online sales? With this Christmas looking far rosier than last, the Switch effect, and the ability this year to further economise on store costs and further diversify into new areas, GAME looks to be heading in the right direction and strategically it should all come together in 2019. 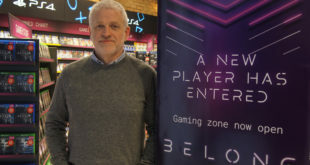 “I think we’re on a journey, transforming our business from a multichannel retail business into a business that is delivering gaming services and experiences that includes retail. We’re not at the start of that journey, we’re well into it,” Gibbs says.